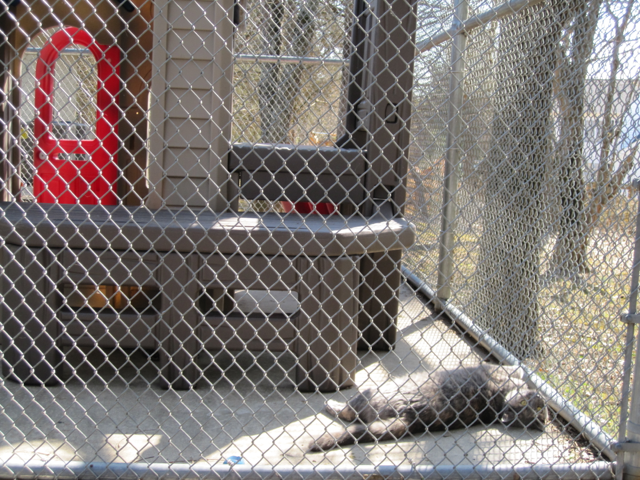 The cats have an enclosed outdoor play area, open during good weather. 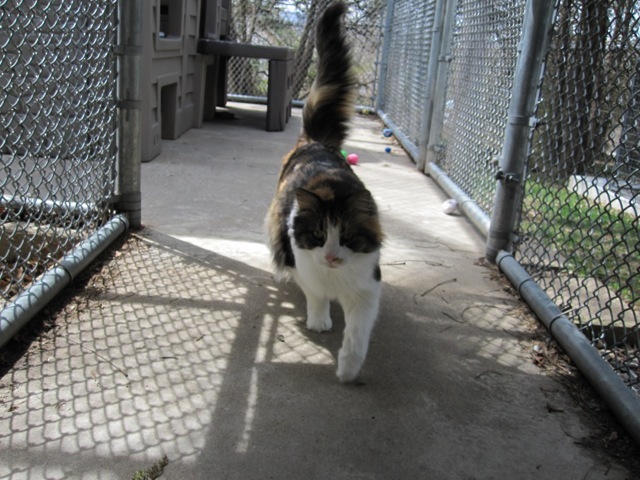 Former resident Panama shows how much she enjoys being out in the sun. A view from within the cats’ outside area. Pretty Ju Ju (former resident) came running toward the camera.